Gettysburg Licensed Battlefield Guide Stuart Dempsey is standing near one of the least visited monuments/markers at Gettysburg National Military Park. The marker is to the 54th New York Infantry Regiment. This view was taken facing east at approximately 5:00 PM on Friday, April 2, 2010. In the eighteenth Eleventh Corps post, Gettysburg Licensed Battlefield Guide Stuart Dempsey brought all of Adelbert Ames’ Brigade to the Barlow’s Knoll area, where they would be attacked by Georgians on July 1, 1863. In today’s Eleventh Corps post, Gettysburg Licensed Battlefield Guide Stuart Dempsey shows the position of the 54th New York Infantry along Rock Creek, and “behind” them, the position of the 153rd Pennsylvania. This map shows the location of where our Eleventh Corps at Gettysburg videos were produced. Videos #1-#53 were shown on other maps on our previous posts. Video #54 was taken on Barlow Knoll by the monument to Brigadier General Francis C. Barlow. Videos #55-58 was taken on the summit of the knoll near Wilkeson’s Battery, and the monument to the 153rd Pennsylvania Infantry Regiment. Video #59 was taken near the marker to the 54th New York. Video #60 was taken near Rock Creek. 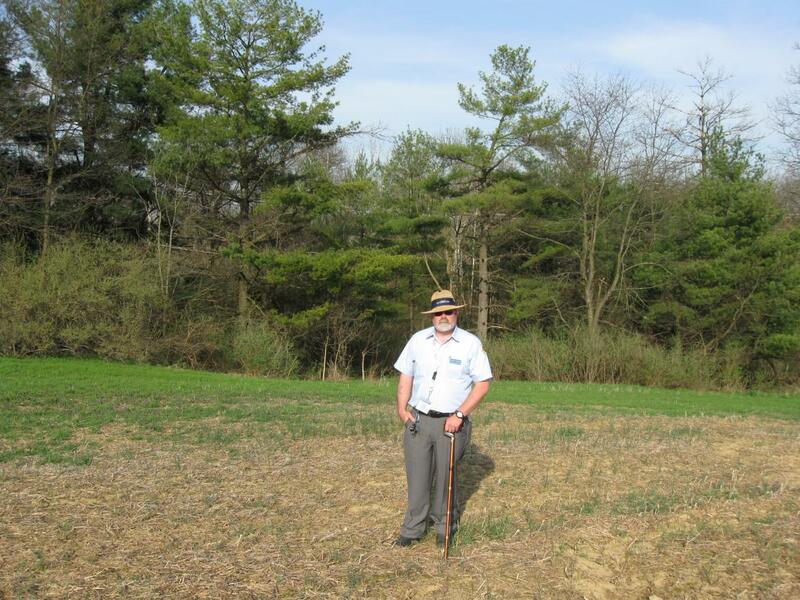 Video #61 was taken at the position of the 153rd Pennsylvania Infantry Regiment. This map was created facing north at approximately 4:15 PM on Saturday, April 17, 2010. The marker to the 54th New York Infantry. 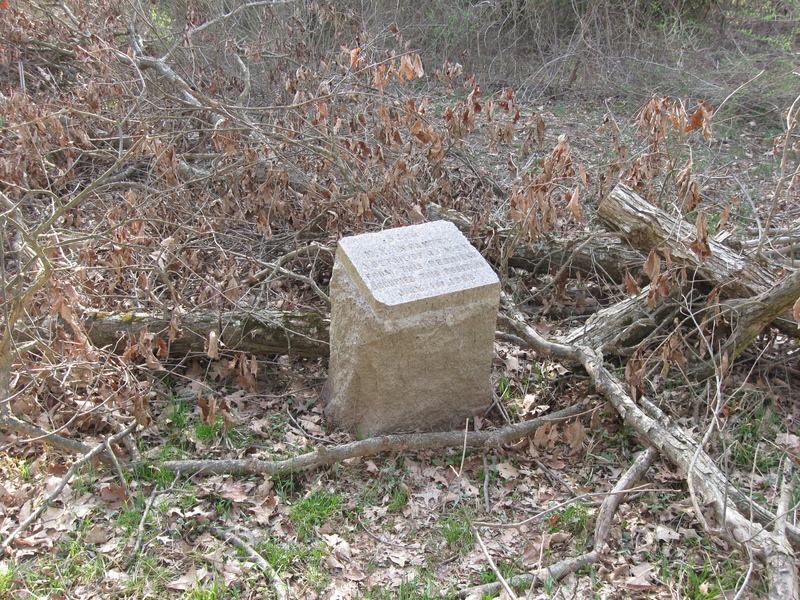 See our previous post on this marker on September 15, 2008. For a PDF version of Stuart Dempsey’s article on the 54th New York Infantry, which he wrote for the Association of Licensed Battlefield Guides’ Battlefield Dispatch, click here. This view was taken facing west at approximately 5:00 PM on Friday, April 2, 2010. In Video #59 (Videos #1-#58 were shown in our previous Eleventh Corps posts) Gettysburg Licensed Battlefield Guide Stuart Dempsey is standing near the marker to the 54th New York Infantry Regiment. He shows us how the utility company has cut down branches on top of (till we removed them) and around the marker. This view was taken facing east to southeast to east at approximately 5:00 PM on Friday, April 2, 2010. 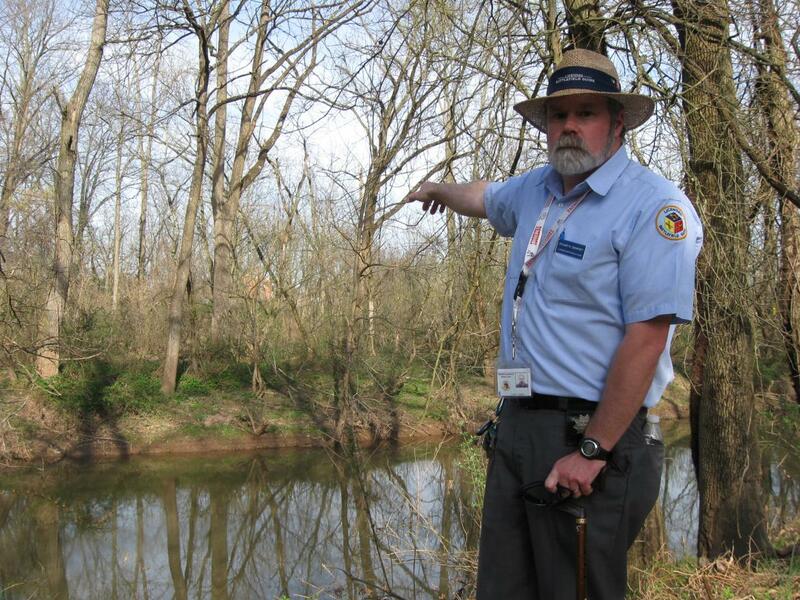 Licensed Battlefield Guide Stuart Dempsey is standing on the south side of Rock Creek. He is pointing towards the red brick Josiah Benner House, which is barely visible through the trees that were not here in 1863. This view was taken facing northeast at approximately 5:00 PM on Friday, April 2, 2010. In Video #60 Licensed Battlefield Guide Stuart Dempsey is standing on the south side of Rock Creek. He explains what happened to the 54th New York in this position as they were attacked by Confederate Brigadier General John Brown Gordon’s Brigade. This view was taken facing northeast to east to southeat to east to northeast at approximately 5:00 PM on Friday, April 2, 2010. 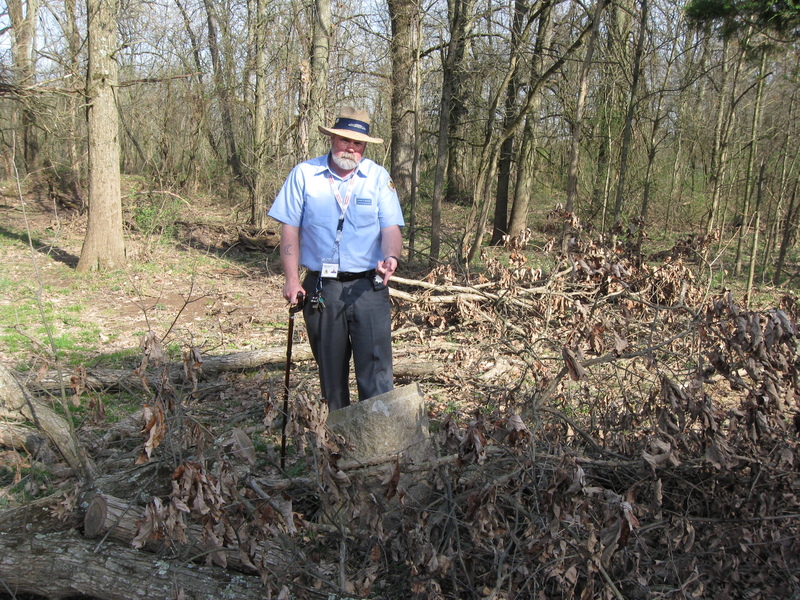 Licensed Battlefield Guide Stuart Dempsey has now emerged from the trees along Rock Creek which were not here in 1863. He is standing in the open field on the northeast slope of Barlow Knoll. The 153rd Pennsylvania Infantry was positioned where Stuart is standing. They were to the right and left of Stuart, facing away from the camera, and towards Rock Creek. This view was taken facing northeast at approximately 5:00 PM on Friday, April 2, 2010. In Video #61 Stuart Dempsey is standing on the northeast slope of Barlow Knoll. He explains how the 153rd Pennsylvania made a fighting retreat up the slope and towards the summit of Barlow Knoll. This view was taken facing northeast to northwest at approximately 5:00 PM on Friday, April 2, 2010.